Welcome fellow bum wine connoisseurs! Your tickets have been punched so today we can make it to the third stop on our trip visiting the top 5 bum wines. 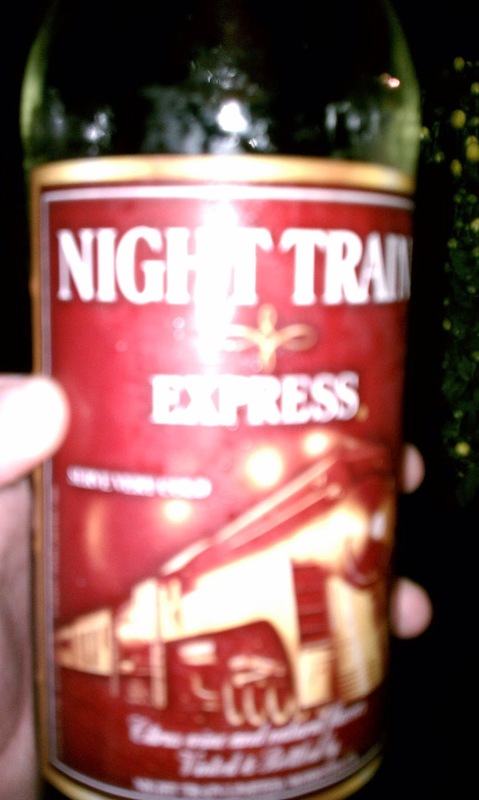 Today's stop is the Night Train Express! Some people are not fans of the taste saying that it is too sugary and tastes like gasoline. Now this may be true, but i have a solution for you! 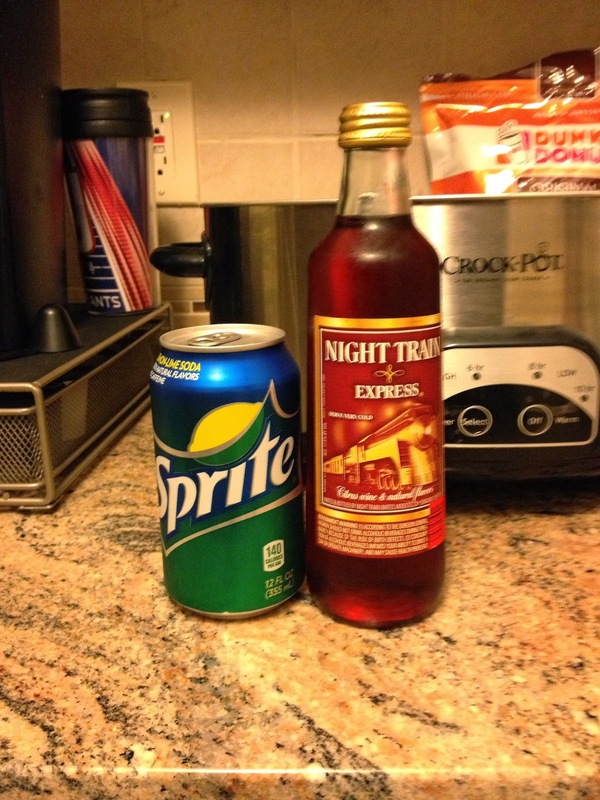 The "Sprite Train" is a worthy substitute for someone who wants to take a ride on the train, but does not want to end their night early having to let some passengers off. 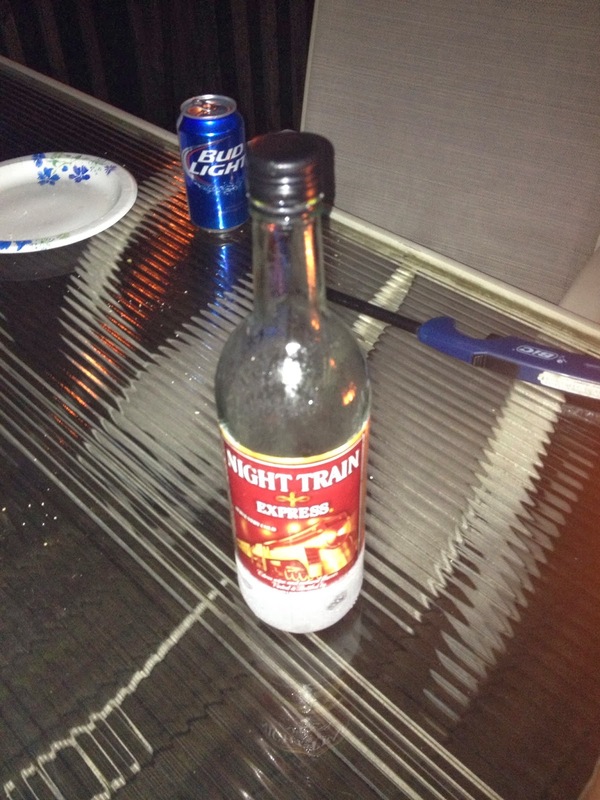 Nightrain. 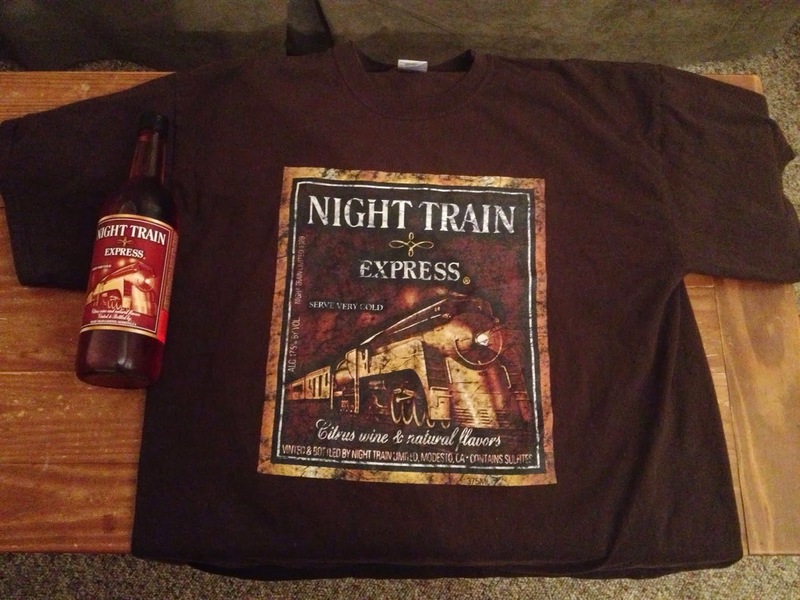 The label reads Night Train Express, serve very cold along with a graphic of a black stream engine charging through the night. Until our next installment tomorrow, bottoms up! Thanks Axl!